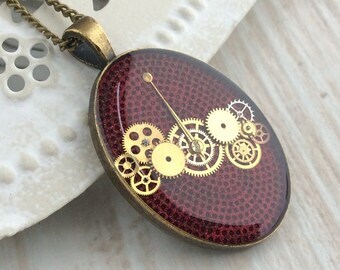 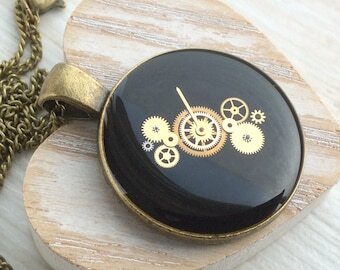 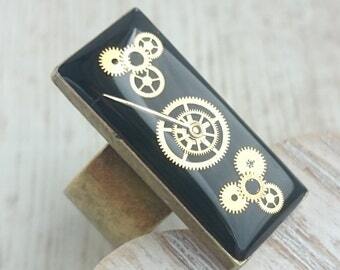 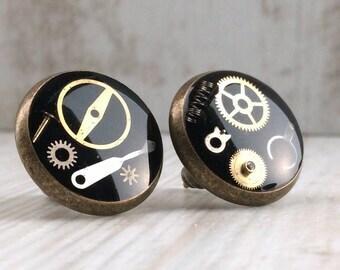 ***Made using layers of resin to give the watch workings a 3 dimensional shape. 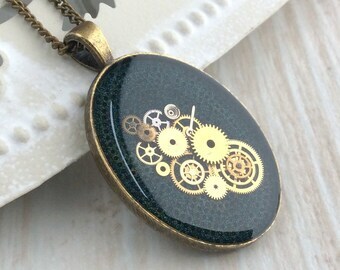 This is NOT a glued on glass dome. 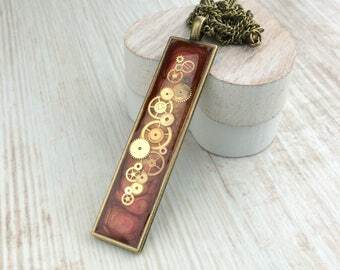 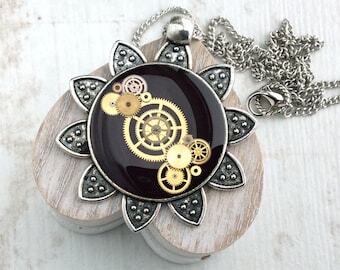 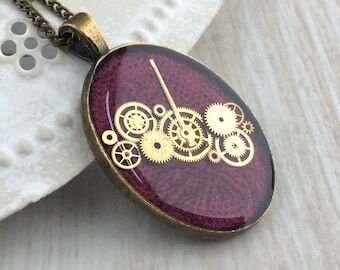 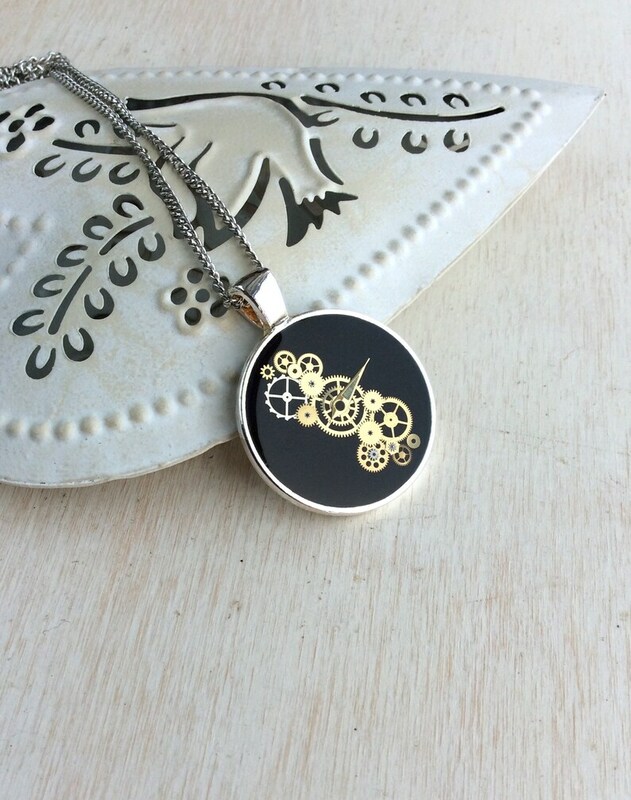 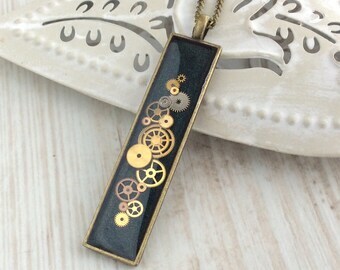 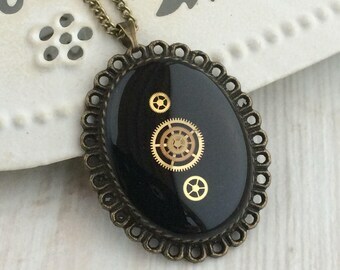 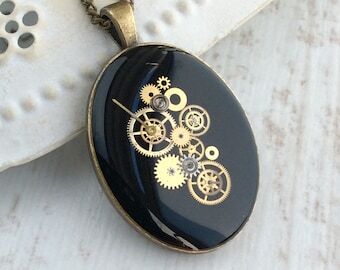 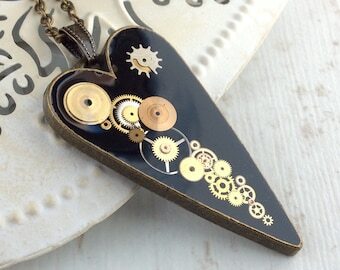 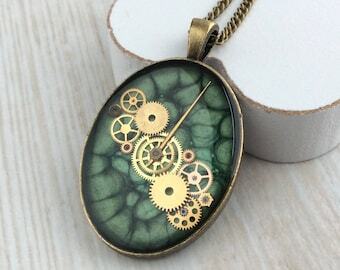 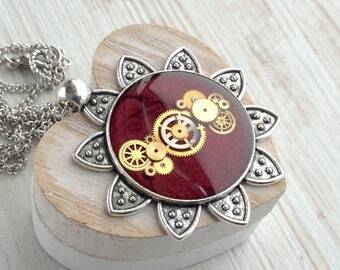 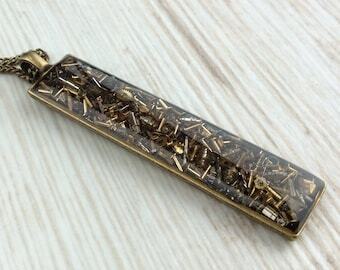 A very stylish arrangement of recycled watch parts have been placed within this silver-plated pendant, to give a subtle steampunk effect. 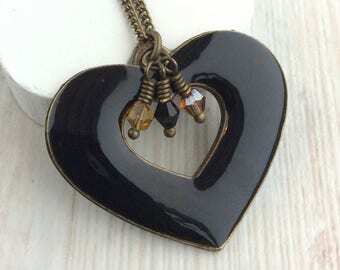 Back filled with a jet black paint to really make the workings pop, before being sealed with a crystal clear resin for a smooth finish.